Dolphin Origami: Dolphin is can be considered as the most love sea creature in the world. If you happen to travel around the world you will find different dolphin sanctuary. Dolphin has the ability to save people lives. They can also be use in performances they are easy to teach lessons. Today dolphins species are becoming smaller and smaller because of people. 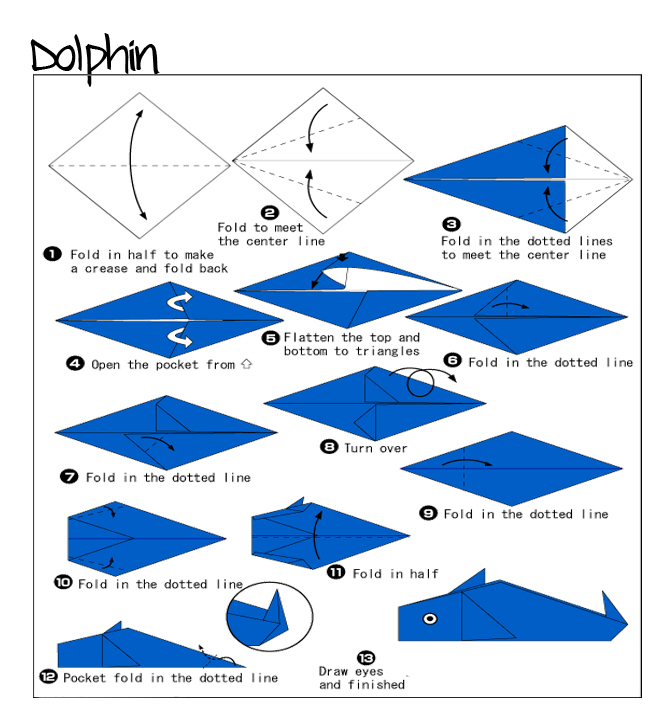 Making Dolphin Origami is simple to do just follow the simple instruction provided in the diagram below.